Kelly green and navy, mint and coral, black and pink, only a few of my favorite color combinations. But what's really been inspiring me lately is navy and pink. I've been wearing this fabulous combination since I was little (there are pictures) and I still love it today. 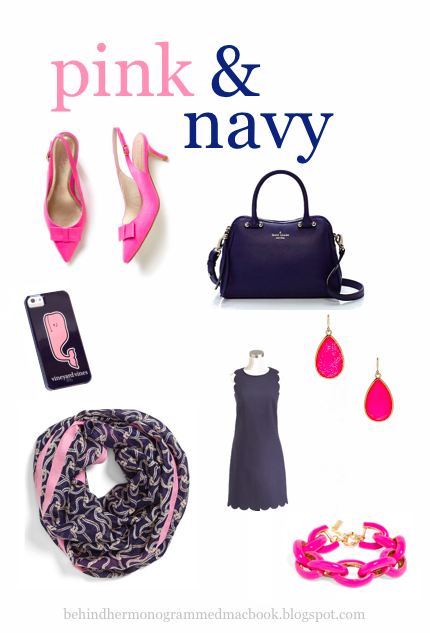 Navy is my go-to neutral and who can say no to pink. With summer right around the corner, I want to try to incorporate these colors into my outfits more and more. Here's a little inspiration for this perfect combination. 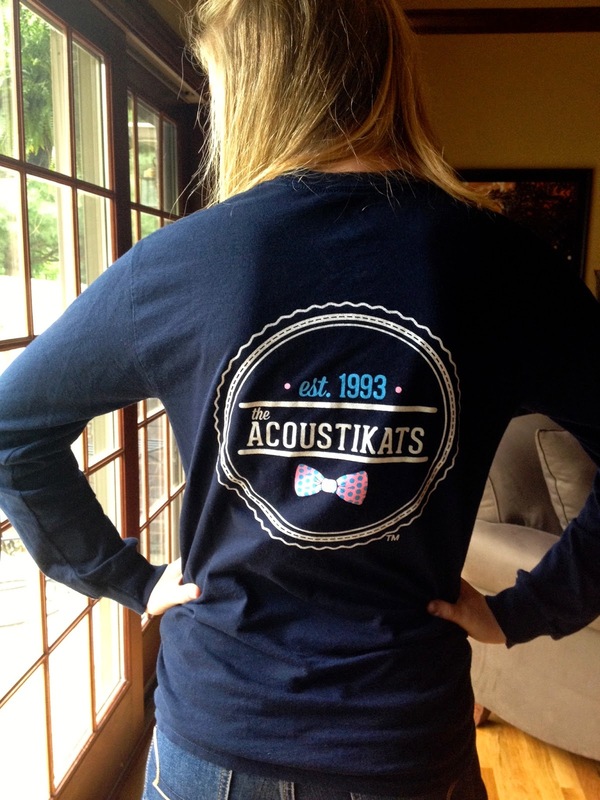 I'm also wearing one of my favorite navy-pink combinations today in support of my acoUstiKats! They're an all-male acapella group out of University of Kentucky who was featured on NBC's The Sing Off this winter. Check out their stuff here and listen to my favorite song of theirs here. Wimpy little post today, I know. But I've got something big planned for next weekend. Here's a little hint: it includes one of my best friends Justina, whose blog you should totally check out. Stay tuned! Mine too, they look so good together! I love that shirt! So cute! Thanks Anna, love your blog!